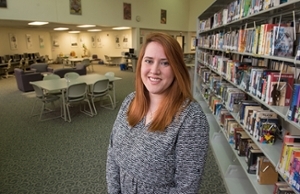 Looking to meet some of the educational, career and informational needs of the Metro East community, the Southern Illinois University Edwardsville East St. Louis Center (ESLC) has reopened the library on campus and expects it to soon become a critical resource and gathering place for the public. World-renowned architect Louis H. Sullivan (1856-1924) will be the inspirational focus of a film screening and a full-day conference being held Thursday-Friday, Feb. 23-24 at Southern Illinois University Edwardsville. Registration is now available for both events. SIUE’s Cory Byers, instructor in the Department of Mass Communications, and College of Arts and Sciences’ alumnus Ashley Seering, who earned a bachelor’s in mass communication in 2014, earned first place in the 2016 Fusion Doc Challenge at the Slamdance Film Festival for their documentary, Sanctuary. 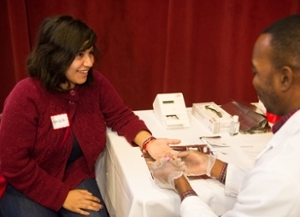 The Southern Illinois University Edwardsville School of Pharmacy, in collaboration with Alton Memorial Hospital, BJC HealthCare and the American Diabetes Association, is hosting the 11th annual Free Diabetes Education Program at SIUE’s Morris University Center from 8 a.m.-12:30 p.m. Saturday, Feb. 11. 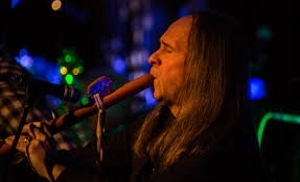 The beautiful, melodic sounds of the Native American flute will blend with various instruments and musical genres to create a one-of-a-kind concert, featuring Mark Holland and Autumn’s Child, presented by Southern Illinois University Edwardsville Arts & Issues and the Center for Spirituality and Sustainability. When an SIUE basketball player seeks assistance on and off the court, there’s ample support. 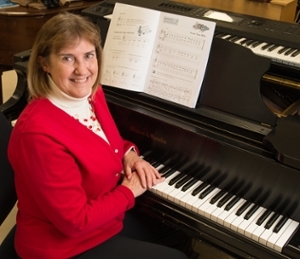 Dr. Mary Jo Pembrook, listens intensely with her head bent toward 12-year-old Kadarius McCollum, who is in the five-finger position while deciphering musical notes on the page in front of him. Southern Illinois University Edwardsville Athletics welcomed more than 3,100 students in grades 3-8 from 13 Metro-East schools on Wednesday, Jan. 25 for the SIUE Women’s Basketball game versus Tennessee State. Southern Illinois University Edwardsville will host 14 teams during the Botball Workshop set for Saturday and Sunday, Jan. 28-29 in the Technology and Management Center (TC) located in University Park on the SIUE campus. 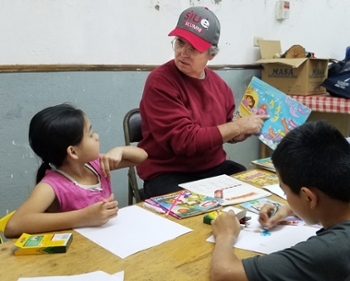 Southern Illinois University Edwardsville Chancellor Dr. Randy Pembrook demonstrated his passion for developing “professionals, scholars and leaders who shape a changing world,” as the institution’s mission states, during his January travels to Costa Rica. 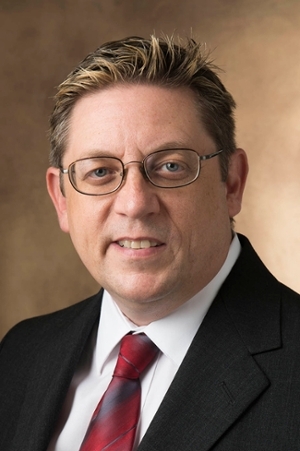 SIUE alumnus Darin Pritchett has been recognized by Radio Ink Magazine as a top 35 radio show host for 2016. Pritchett earned a bachelor’s in mass communication, with a specialization in television-radio from the SIUE College of Arts and Sciences in 1995. 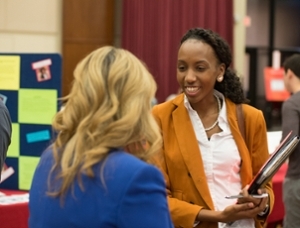 Find out how a master’s in College Student Personnel Administration from Southern Illinois University Edwardsville can help advance your career in higher education at an upcoming information session. Eighteen SIUE alumni were among 100 St. Louis area educators who received high praise for their contributions and dedication to the teaching profession and received the 2016 Emerson Excellence in Teaching Awards. 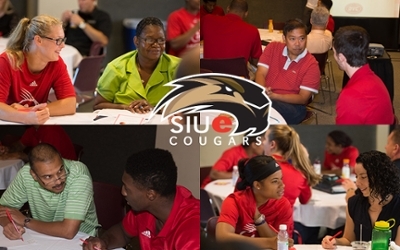 SIUE alumni included graduates of the SIUE School of Education, Health and Human Behavior, College of Arts and Sciences, and Graduate School. 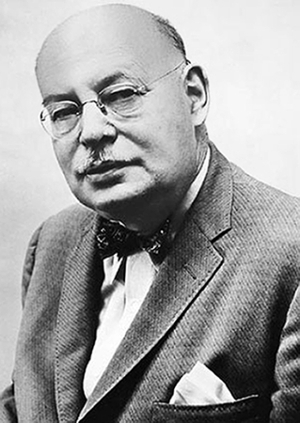 Southern Illinois University Edwardsville faculty and students will be inspired by the pioneering concepts of Adlerian Psychology for years to come thanks to a $500,000 gift to the Department of Psychology from the Family of Rudolf Dreikurs. The gift will fund visits to SIUE from eminent scholars from around the world. 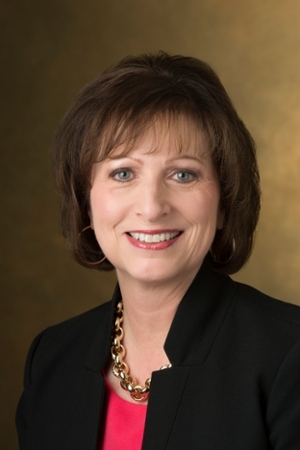 SIUE alumna Dr. Ann Beatty has been recognized with the United Way of Greater St. Louis’ 2016 Freeman-Kortkamp Award for outstanding service and performance. 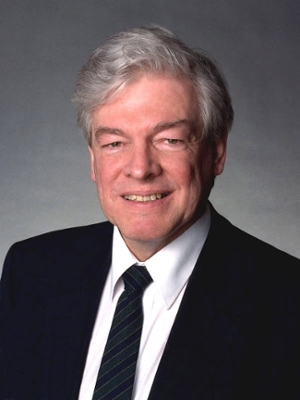 Beatty is currently a board member of the organization and has previously served in numerous committee roles. As of January 2017, Southern Illinois University Edwardsville is purchasing 100 percent of its electricity from renewable energy sources through the use of renewable energy credits. Renewable energy previously made up 50 percent of the University’s electrical supply. 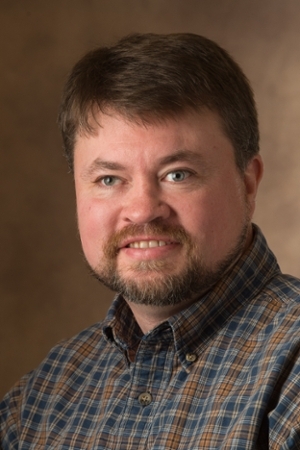 Dr. Robert Martin of the Field Museum of Natural History in Chicago is the featured speaker for Southern Illinois University Edwardsville’s annual Axtell Memorial Lecture in celebration of Darwin Day (Charles Darwin’s birthday). The presentation is 4 p.m. Monday, Jan. 30, in the Morris University Center’s Meridian Ballroom. 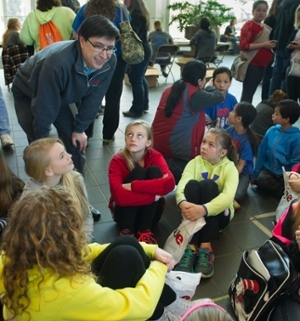 The Society of Women Engineers (SWE) at Southern Illinois University Edwardsville is hosting its fifth annual “Introduce a Girl to Engineering Day” from 8 a.m.-3 p.m. Saturday, Feb. 18, in the SIUE School of Engineering building. The Southern Illinois University Edwardsville Department of Art & Design and the Friends of Art host the 40th Annual Art Auction on Wednesday, March 15. The auction will be held in the Art West Gallery located in the Art & Design West building on the SIUE campus. SIUE alumnus Chad Sackman has been named chief operating officer of Signature Medical Group, a multi-specialty physician-owned group out of Missouri and Kansas. 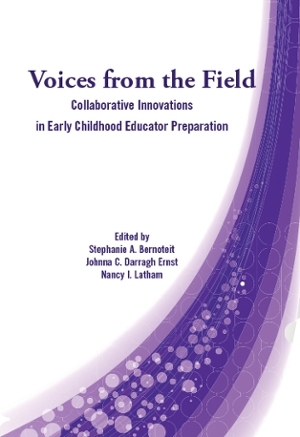 Sackman earned a bachelor’s in health education from the SIUE School of Education, Health and Human Behavior in 1999. Details on his new role are posted on MarketWatch.com. 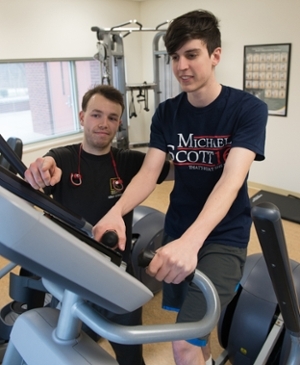 Southern Illinois University Edwardsville’s master’s in physical education and coaching pedagogy ranks among the top 25 programs in the nation, being recognized for Best Value by Top Online Colleges. 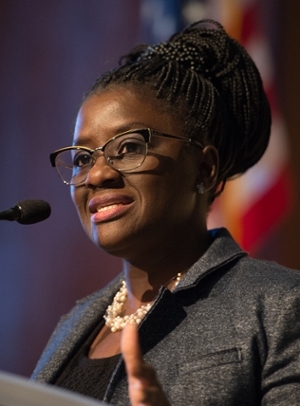 The Southern Illinois University Edwardsville Office of Institutional Diversity and Inclusion hosted a rich, action-oriented dialogue among more than 240 campus administrators, faculty, staff and students, and surrounding community leaders, during the Diversity Strategic Plan Summit held Wednesday, Jan. 18 in the Morris University Center. U.S. News & World Report highly ranked Southern Illinois University Edwardsville’s School of Nursing among the top 100 in its 2017 Best Online Graduate Nursing Programs list released Jan. 10. The School is ranked 94th among 140 schools nationally. As the New Year begins, Southern Illinois University Edwardsville continues its ongoing commitment to campus growth with its renovation of the Science Lab (SL) Building Complex that is part of a more than $300 million construction and infrastructure improvement plan that began in 2006. The Southern Illinois University Edwardsville School of Business Executive Education program offers a variety of exceptional project management courses and workshops during spring 2017. The Southern Illinois University Edwardsville online master’s in healthcare informatics has been ranked among the nation’s top 25 by bestcolleges.com. 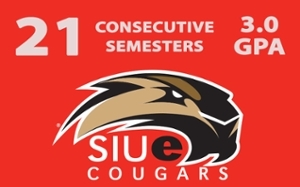 For the 21st consecutive semester, SIUE student-athletes have logged a departmental grade point average of better than 3.0. Cougar student-athletes completed the 2016 fall semester with a 3.202 GPA, marking the third highest semester GPA since moving to the NCAA Division I level. Two SIUE alumni have advanced their careers, bringing their knowledge and expertise to new leadership positions. It may have been a bit chilly out, but that didn’t stop the Southern Illinois University Edwardsville Office of Student Affairs and campus community members from helping brighten students’ day at the start of the 2017 spring semester. A video of first day activities can be viewed here. A stroll through building hallways and around the Southern Illinois University Edwardsville campus demonstrates a strong appreciation for and display of artistic wonder. Since its origin, SIUE has remained committed to the arts and the public engagement it commands. SIUE Alumnus Named Strategic Advisor to Alabama Graphite Corp.
SIUE alumnus Randy A. Moore, who earned a master’s in business administration from the School of Business in 1985, has been appointed strategic advisor to Alabama Graphite Corp.
Moore’s extensive professional experience and details of his new appointment are feature in a press release posted Tuesday, Jan. 3 on MarketWatch.com.